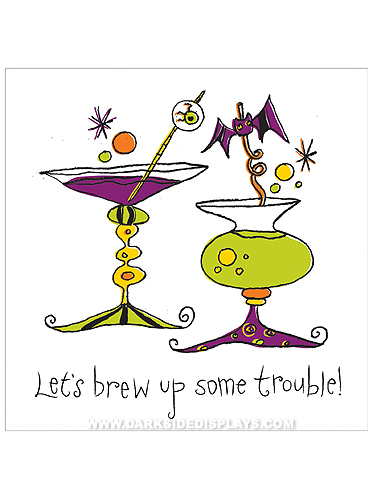 It's time to brew up some trouble and it couldn't be any easier with these wicked disposable paper napkins. Pattern features spooky cocktails and reads "Let's Brew Up Some Trouble" across the bottom. Perfect size for desserts or cocktails. Brew Up Trouble Beverage Napkins measure 5" x 5"." 18 ct.